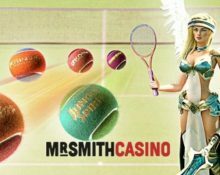 Mr. Smith Casino – Wimbledon Finals Experience! Win an exclusive trip to the final or a share of £6,500! The “Daily Boosts” campaign at Mr. Smith Casino has been put on hold this week and replaced with a superb promotion that will see the lucky winner and a friend watching the final of the world’s most prestigious tennis tournament from the exclusive VIP lounge, including a three course a la carte menu, designed by World-Class Chef, Albert Roux OBE with a choice of specially selected wines. 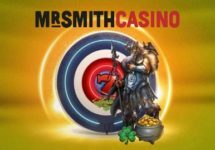 502 players will win cash prizes of up to £1,000. Players from mainland UK might miss the “Daily Boosts” this week but they are in for an even better reward, an exclusive Wimbledon Finals Experience plus a share of £6,500 in cash. In a network wide promotion by game provider Netent, players will have time until 3rd June 2018 to earn their tickets to the prize draw. Winners can be drawn from any of the participating casinos. Terms and conditions apply. 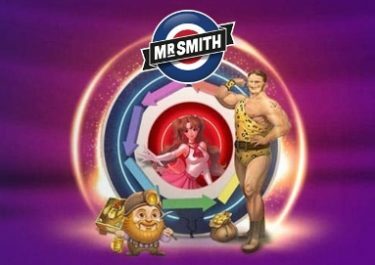 Earn one ticket to the Wimbledon Draw for every £50 wagered on Twin Spin Deluxe™, Hotline™, Archangels: Salvation™, Koi Princess™, Jungle Spirit: Call of the Wild™, up to 50 tickets per player per day. On 4th June 2018, Netent will draw 503 winning tickets from all eligible entries and allocate the prizes in order they are drawn: 1x Wimbledon Finals Experience | 1x £1,000 | 1x £500 | 500x £10. Winners will be announced on 5th June 2018 and cash prizes credited with no wagering requirements within 24 hours.